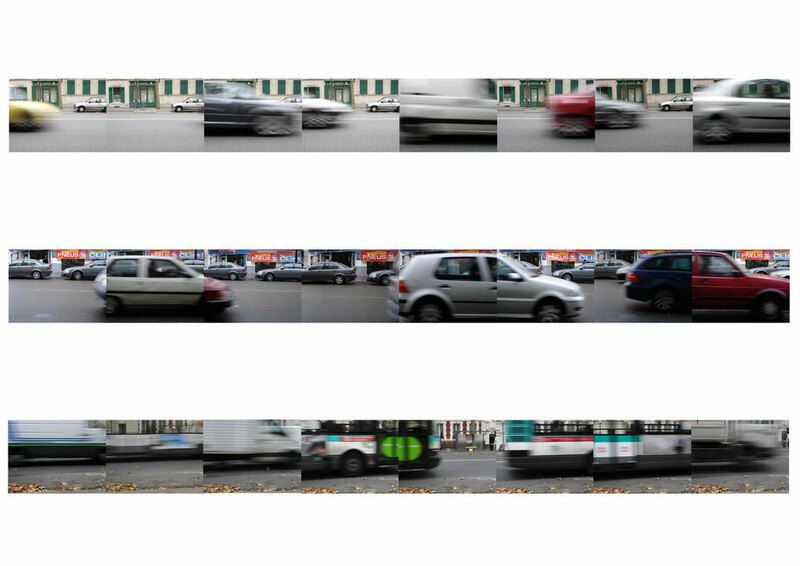 Dozens of photo bursts are gathered by Claire Guyard-Aschehoug in order to provide us with a linear reading artwork, both asymmetric and parallel. The cars in motion, the lights and the colors - so important to the artist - compose a music score in which the beat of this Parisian avenue finally makes sense. 42.9 x 23.6 inches (109 x 60 cm), edition of 8 ex.